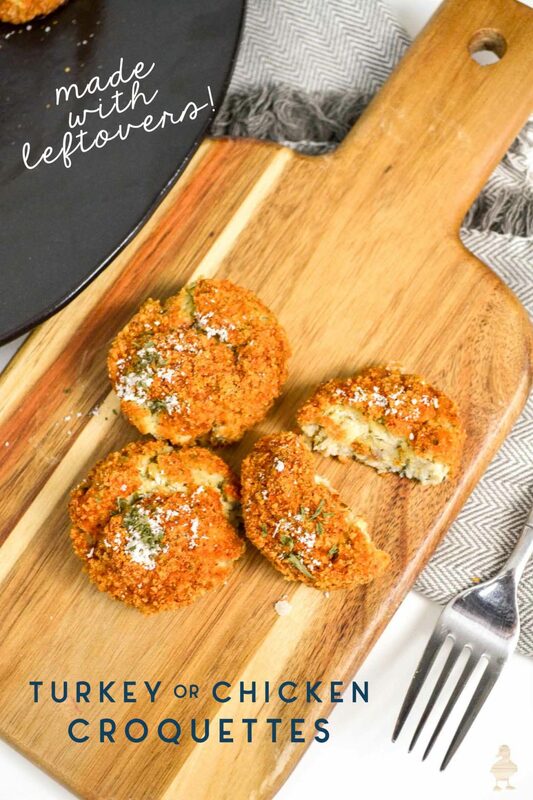 Often my favorite thing about Thanksgiving turkey, these croquettes are the PERFECT recipe to try with leftovers from other meals! It also works great with leftover chicken (or those rotisserie chickens from the grocery store). One of my goals from the new year has been to eat more at home. So often, I spend the day working on DIY projects but get too distracted to eat until too late, which results in me ordering out again. It’s an expensive habit that my wallet would love for me to break! So, I’m starting this year with a few classics that are quick and easy to make, can be frozen, and require ingredients I can keep well stocked. 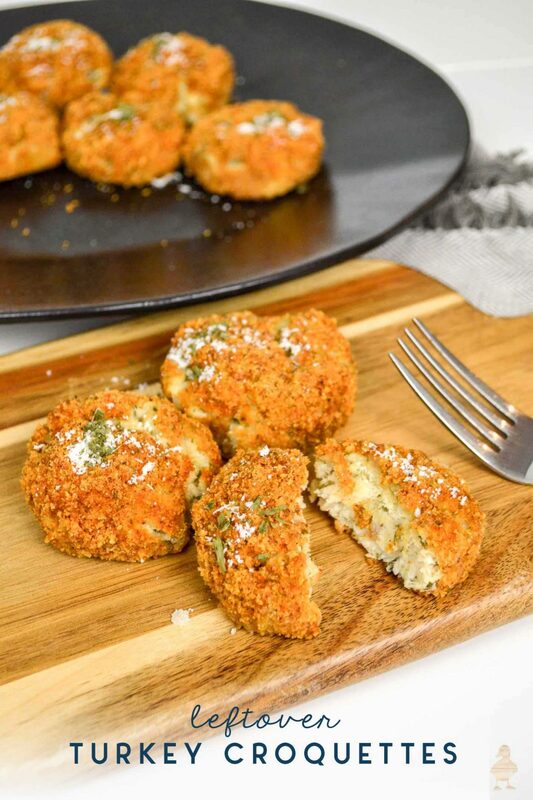 For example, this leftover croquette recipe made with either turkey or chicken. It usually makes an appearance right after Thanksgiving, but it’s honestly great to make any time of year. It goes great with leftover gravy and mashed potatoes too, but I prefer it plain or with a little Parmesan cheese sprinkled on top. 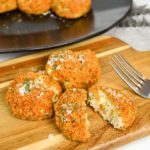 Often my favorite thing about Thanksgiving turkey, these croquettes are the PERFECT recipe to try with leftovers from other meals! Also works great with chicken. Melt butter in pan. Stir in flour until it makes a smooth paste. Add milk and chicken broth and cook until very thick. Add salt, pepper, onion powder and the beaten egg. Blend well and let cool a little. In a bowl, combine the grated chicken with a little salt & pepper and add the fresh parsley. Add the cream mixture to the chicken/turkey and combine well. Cover with plastic wrap and chill in the refrigerator until cold. Remove from refrigerator and shape into desired shape (usually round or cone shaped) using a cookie scoop as your size guide. 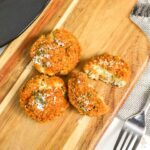 Once shaped, dip into a beaten egg and then roll into the bread crumbs coating real well. Place in greased baking dish and bake 350º until brown. Create your own white gravy or use leftover gravy and serve with (leftover) mashed potatoes. 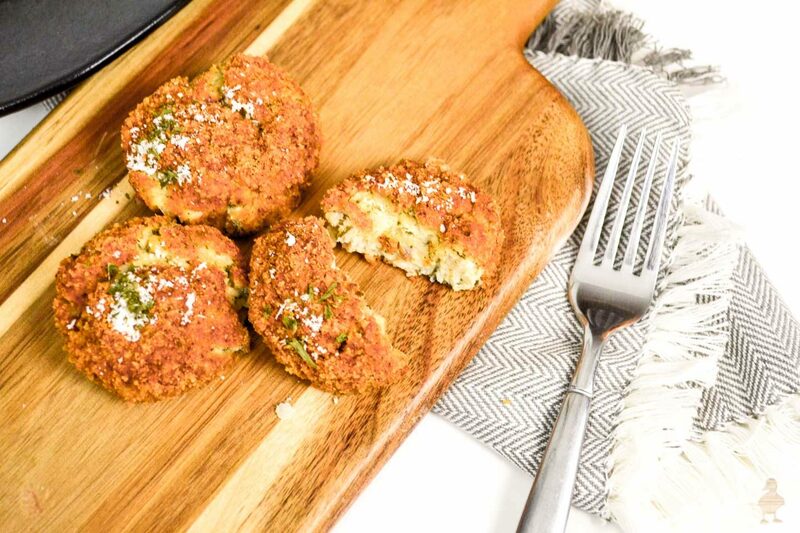 If the croquettes seem like they’re falling apart a little too much, we put them in muffin tins to help keep their shape. It just makes them more aesthetically pleasing sometimes but flavor is the same! You can also fry these, but we traditionally bake them. Wow Sarah – never thought of making these with chicken or turkey and leftovers too! I’ve always made or eaten them with salmon as the main meat and the only one that eats salmon in my house is me. But my husband and picky pre-teen will probably eat these. I’ve also never thought of baking them either. Always have had them lightly fried. I bet they’re good with some Zax sauce!! Ooh I bet they are! I haven’t tried them with hot sauce either and now you have me thinking. Ha!